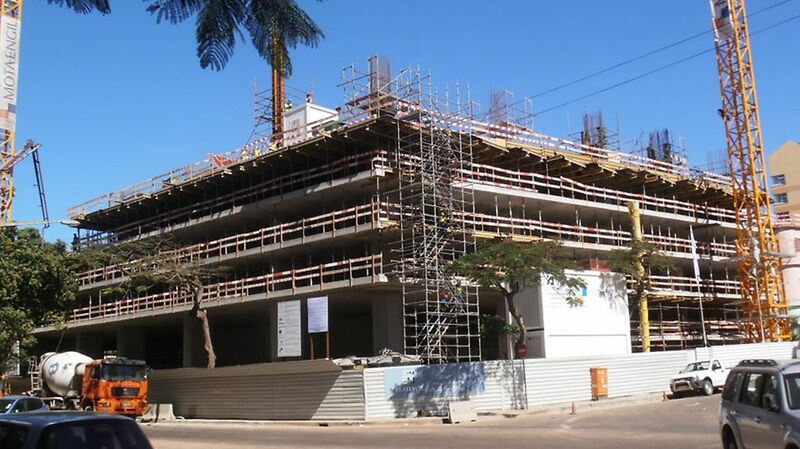 PJ Africa Maputo completed the Edificio Platinum mixed-use building. PERI Mozambique was commissioned for the formwork solution. The tower provides luxury apartments, corporate offices and retail shops, located with strategic visibility on Julius Nyerere Avenue. At 26 storeys (72.59 m), it is one of the tallest buildings in Maputo, Mozambique. The project team managed a stripping time of just two days and, time was of the essence, construction was completed in eight months. To achieve this, the contractor utilised 400 m² of TRIO, 450 m² of MULTIFLEX and had 67 tables on site, each 4 m x 2.5 m (total of 670 m²).